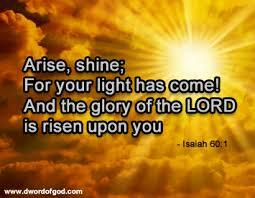 Isaiah 60, I hope you enjoy reading this Book of Isaiah. But before we get right into Isaiah 60 let us give homage to our Lord and Savior Jesus Christ and after doing this we can read Book of Isaiah. 20 Thy sun shall no more go down; neither shall thy moon withdraw itself: for the Lordshall be thine everlasting light, and the days of thy mourning shall be ended.